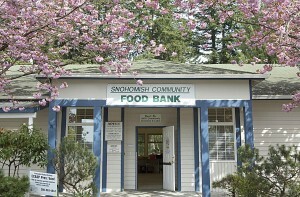 If you want to encounter a group of cheery and selfless people, make a trip out to the Snohomish Community Food Bank. 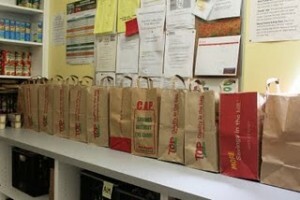 Last week Washington Food Coalition was able to make a trip up to Snohomish and was warmly welcomed into the Food Bank. Each volunteer greeted me with an outstretched arm and a smile. It felt as though I was entering the home of a close family. With a herd of friendly and dedicated volunteers, the SCFB distributes Tuesdays from 3-6:45 pm and Fridays from 10-2:45 pm (open for donations 6 days a week including Saturdays from 10-1). 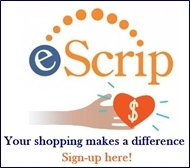 As stated on their website, “This life-giving resource exists to provide basic foods and services to qualified recipients in a caring, dignified and humane manner. 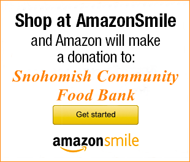 The Food Bank serves every qualified applicant within the boundaries of the Snohomish School District and is supported solely through donations and community volunteers who solicit, manage and distribute it’s reserves. Since 1985, local citizens have screened beneficiaries, collected and distributed food, and provided social services on a weekly basis.” SCFB prides itself on giving clients a dignified shopping experience, complete with shopping cards and the ability to make decisions as they walk through the food bank. Volunteers oversee each station and greet clients as they make their way through the store. Numbers on the front of the shopping carts indicate the size of each family to inform volunteers how much to provide each person. All food is presented in an appealing and accessible manner to make the process as enjoyable as possible. SCFB is also able to provide baby food, formula and diapers to families with small children thanks to a local Kiwanis Club. 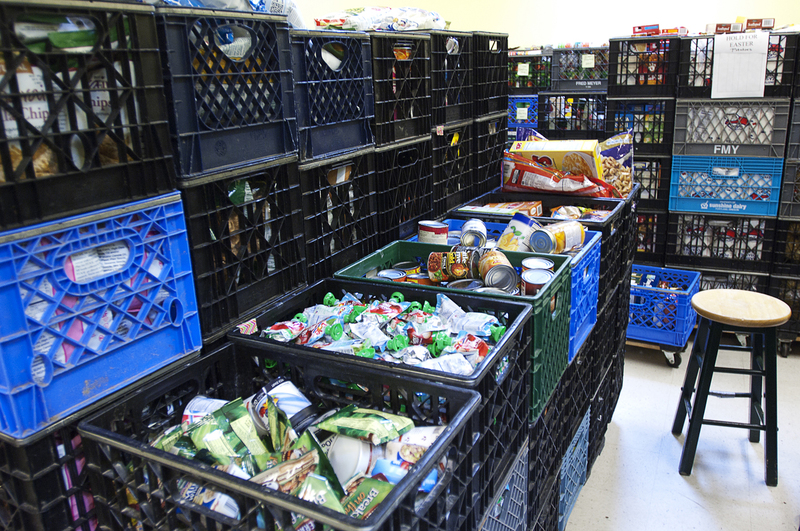 In the back of the food bank you can also find shelves of food for “special diets” such as diabetes. During the recent “Stamp Out Hunger” food drive, SCFB had a record number of donations and completely filled their storage area, reaching above the heads of most volunteers. Donations totaled 24,542 pounds! “This year, through the generosity of Morgan Stanley and Food Lifeline, we are able to run this program on its own. Program Manager, Dana Gibson collects the food, packs it into two grocery sacks per person and delivers them to the local high schools for weekend meals for 14 students. Seven students have babies, so this funding provides the infant care, as well”. SCFB also provides backpacks filled with school supplies to elementary aged children each fall. 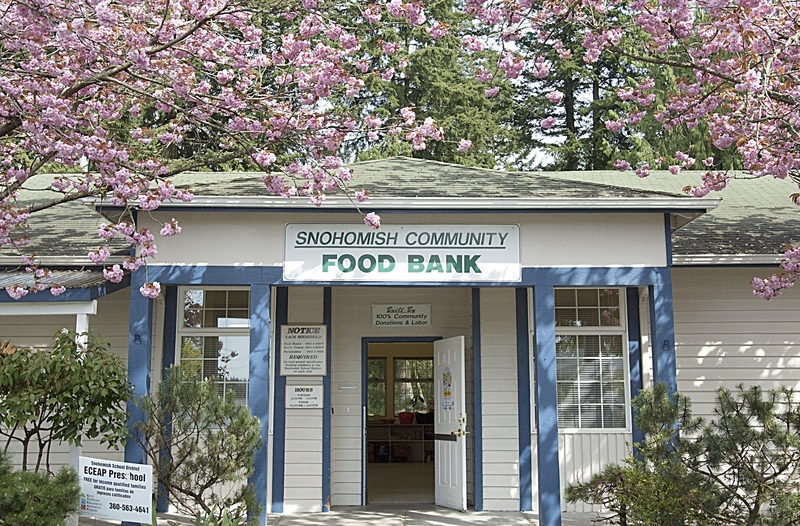 The Snohomish Community Food Bank is continually looking for ways to improve their operations and engage their community in feeding the hungry. *Information provided by SCFB website and Elizabeth Grant, Director of SCFB.